Decorations are a must for any Baby Shower party! They are a simple and inexpensive way to turn a boring room into a fun and bright party area. We have quite a mix in this section, from dangly streamers to inflatable dummies and learner mum head boppers! 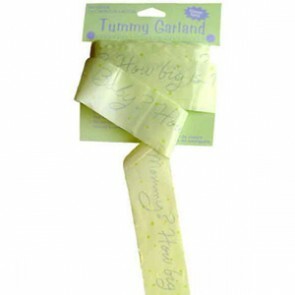 The Tiny Bundle Baby Shower Decorating Kit (10 Piece) is a huge mixed decorating kit which co-ordinates with all of our Baby Shower party bits! Full of lots of different decoration types, just one kit can quite easily fill up a party room. A great little help to get the party started! 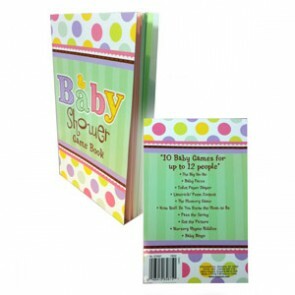 Our Baby Shower Game Book contains 10 fun games for up to 12 people. Have a giggle at your Baby Shower party! 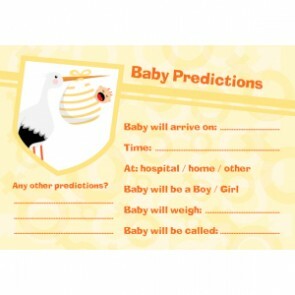 We had been struggling to find a decent baby prediction card game that didn't ask daft questions. As we couldn't find one, we decided to come up with our own! So here we have our exclusive, MumStuff Baby Predictions Baby Shower Card Game. Guess the size of mum to be's tummy... A fun and simple baby shower game where the guests try and predict the size of guest of honour's pregnant belly! 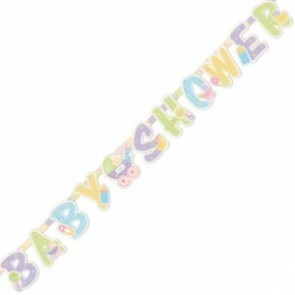 A Baby Shower banner that would happily coordinate with any of our other Baby shower Items as the colours are nice and neutral. 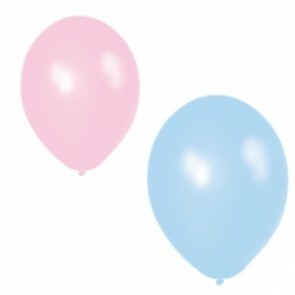 These high quality Metallic balloons are perfect to go along with any of our Baby Shower themes. They are available in either pink or blue. 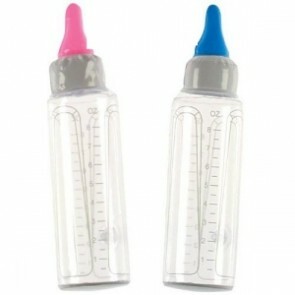 If you are not sure whether the baby is a boy or a girl, why not get a pack of each and then you can mix the colours up. 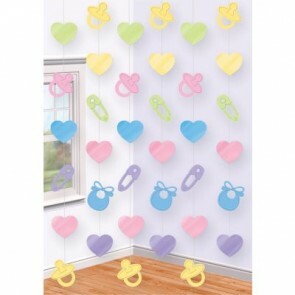 Another great idea for decorating your baby shower party room! Each pack of plastic string decorations contains 42 feet of decorating, with each string almost 7 foot long! There are six decorating strings in the packet. 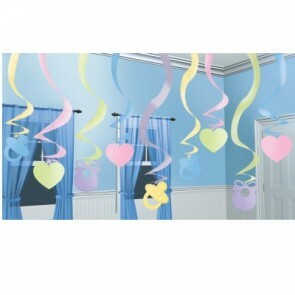 A great decoration for your party - these colourful hanging swirly decorations will give any room a real baby shower feel! There are 5 paper swirls in a pack and each is 24 inches tall!